Developer : Better Day Wireless, Inc. 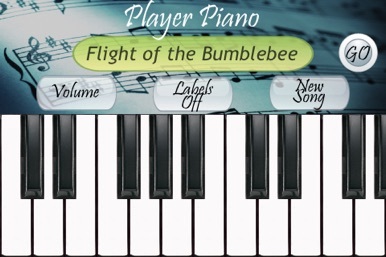 Player Piano doesn't just play piano music, it lets you play it too. You can play the top row and let the player piano play the bottom row, you can play the bottom row and let the player piano play the top row, or for a real challenge you can try to play both rows. Player Piano's songs are the complete song with chords and both hands. 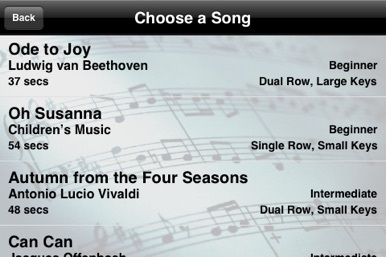 You can choose how much or how little of the song you actually want to play, and let the player piano play the rest. The result is beautiful music every time, and you will be amazed at what you and the player piano can play. 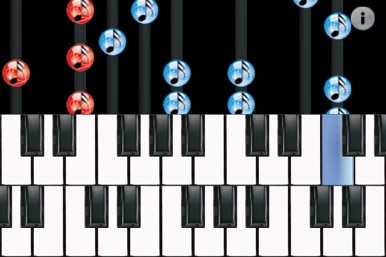 Player piano displays the notes falling in smooth animation to the tempo of the song. 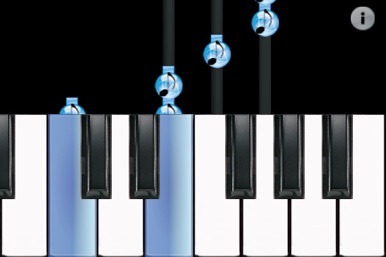 Keys are highlighted to let you know to press them, and each piano note is accurately labeled and has a tail to further signify how long the note should be held making playing the piano possible for everyone. 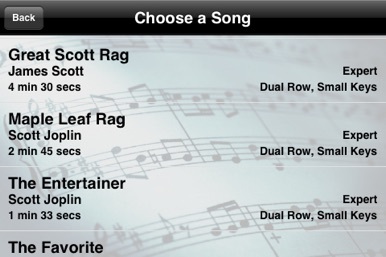 There are even more categories and more great songs, so get it now and start playing or listening to great piano music today!